What's It Like Teaching At MIH? 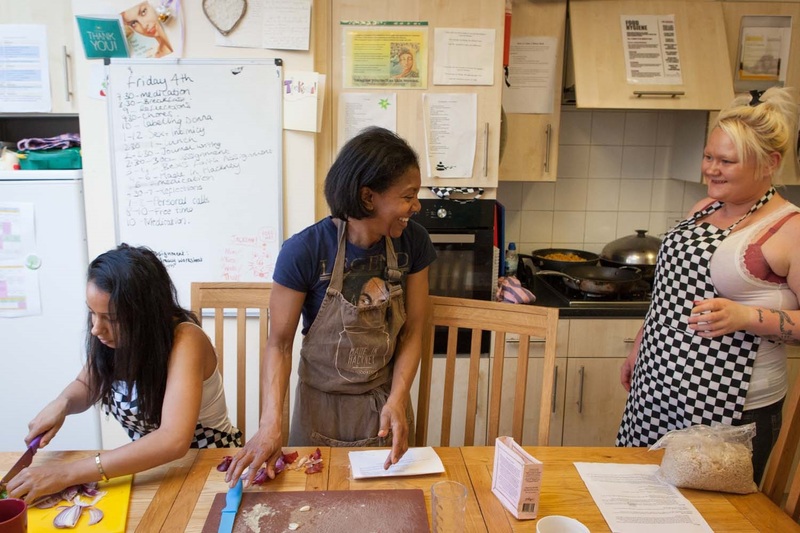 Our teachers and volunteers are the heartbeat of Made In Hackney. 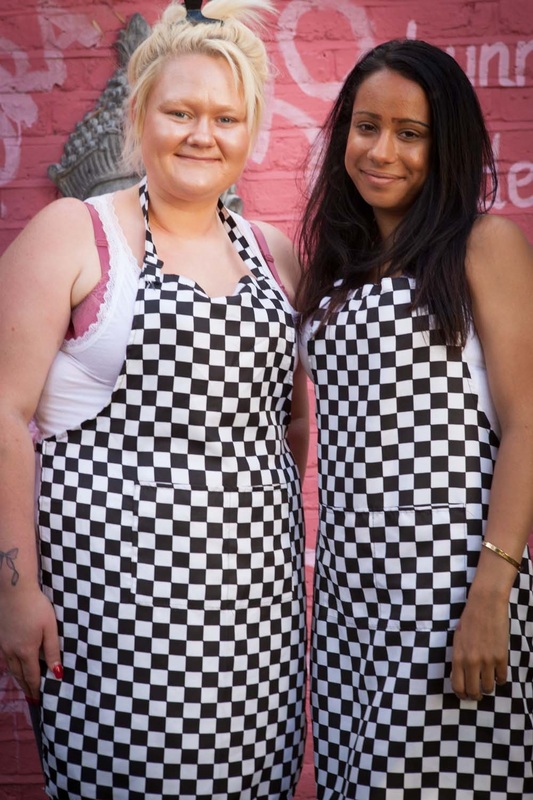 They deliver amazing, inspiring cookery classes often in challenging circumstances. They cope with floating equipment (where have all the spoons gone? ), power cuts (it's OK - we'll go raw), and last minute changes of plan (oh sorry did we forget to tell you everyone’s gluten-free?). We chat to Sharon Gardner, one of our awesome teachers about her experiences. MIH: Why do you teach for Made In Hackney? Sharon: I love working in the community. I'm a qualified Naturopath with a background in Health Sciences. My approach to health and wellness is very holistic. Many of my peers work in private clinics where they see clients on a one-to-one basis, however I always had a desire to bring my skills to the community where I could share the message of health and wellness through practical approaches such as plant-based nutrition and cooking. I love it. MIH: What have you most enjoyed about teaching for us? Sharon: I've really enjoy teaching people new skills and opening up their minds to plant-based nutrition and recipes. It can blow their minds cooking without meat or dairy for the first time. I enjoy seeing groups come together as a team to prepare and cook the food and then sit together to share in what they’ve created. MIH: What's the most rewarding part of the job? Sharon: Having the opportunity to work with a wide range of people from all areas of life, and being able to share my love of plant-based nutrition and food! That's priceless. MIH: And the most challenging? Sharon: Making sure everyone is included and no one feels left out at any part of the class. There's always a lot going on. MIH: Tell us a bit about your most recent teaching experience for us at Grace House – which is a centre for women recovering from drug and alcohol addiction? Sharon: I loved working at Grace House. I met so many interesting people. We really did get on well and both I and the group looked forward to our Friday afternoons together. For many, the course was their first experience of cooking other than heating up food in a microwave. So this was a new experience for them. As this course took place in a space where many of the participants lived, it felt like cooking at home. The group were really receptive and enjoyed everything we created. We even had a participant plan to volunteer with Made In Hackney after the classes had finished. Fantastic. MIH: Any funny anecdotes from the classes? Sharon: A young lady was not keen on making the Caribbean curry chickpea recipe in the last class. She was a bit aghast when I asked her to wash the skin on the potatoes before adding to the curry. She’d never left skin on potatoes before - like many people she always peeled them before cooking. I assured her because we were using organic produce a good clean was all that was needed. Anyway, once all the food had been cooked and plated up, she really enjoyed the meal and couldn't stop commenting on how good it tasted. Which we all found quite funny – including her, as while we were cooking she was adamant that she would eat anything! Such a fantastic turn around. MIH: What's your most popular class recipe or class meal? Sharon: I would say one of the most popular is an oldie but a goodie, shepherdess pie which takes a spin on the traditional meat version shepherd’s pie by replacing the meat filling with seasonal veggies and lentils instead. Nice and comforting anytime of the year. My BBQ shredded portabella mushrooms always go down well too.